Martocci’s book is both compassionate and impartial, balancing the emotion surrounding bulling with the integrity of her research. Bullying’s destructive forces affect health and safety, academic and workplace success, and society as a whole, but never is its power more insidious than in tearing down individuals’ identities, changing the way they see themselves and their worth. 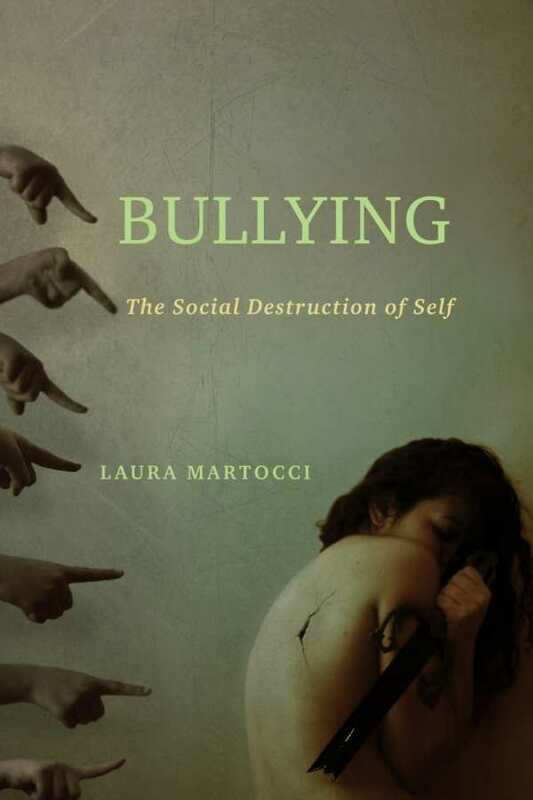 Laura Martocci uses her expertise in sociology to deconstruct the cultural, social, and historical factors that drive bullying—and give those who’ve been bullied a means to shun shame and reconstruct their identities. Bullying: The Social Destruction of Self delves into the origins of bullying and identifies the path to healing. Martocci doesn’t brush off the problem or resort to pep talks; she proves that the best solutions dig to the root of the problem. By offering deep study and research into the many facets of bullying, she provides hope, showing how narrative writing allows people who’ve been bullied to structure their experiences and define themselves. For those whose sense of identity has been forced on them by others and whose day-to-day lives are run by shame and avoidance, this approach is powerful and life-giving. As with the problem, Martocci examines reconstruction in depth; the result feels both attainable and deeply healing. Shame is a hot topic in the self-help realm, and Martocci shows how bullying triggers this path to self-destruction. Her tone is compassionate yet impartial, balancing the emotion of the subject and the integrity of research. Her interviews with people who have been bullied are insightful and heart-wrenching. The book’s research-driven approach lends itself to academic disciplines including sociology, education, social work, and mental-health counseling. This approach can deliver both theoretical and practical insight to people who’ve been bullied, parents of bullied children, school administrators, and bosses (bullying doesn’t just happen to kids) who can be change agents in situations they face every day. Martocci demonstrates that research can be a vessel for compassion and wholeness.